The mission statement of the Harrison County Sheriff’s Office is to provide the most reasonable and professional law enforcement in time of crisis within the prescribed ethical, budgetary, and constitutional constraints. The Harrison County Sheriff’s Office recognizes that no law enforcement agency can operate at its maximum potential without supportive input from the citizens it serves. The agency actively solicits and encourages the cooperation of all citizens to reduce and limit the opportunities for crime and to assist in bringing to justice those that break the law. The members of the Sheriff’s Office will be held to a high standard of conduct. 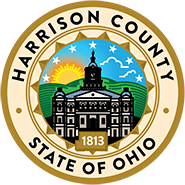 The members of the Office will instill Honesty, Courage and Integrity to the residents of Harrison County.